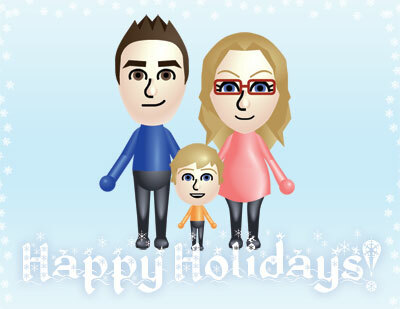 This year we made a postcard for our holiday cards. Walker is so good at translating ideas to computers! 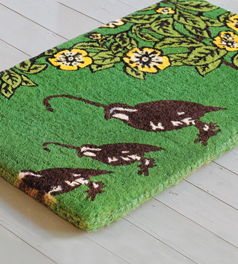 I just love Bake It Pretty’s things. 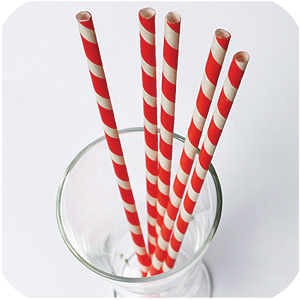 These red and white striped paper straws would be really fun for a Christmas party! 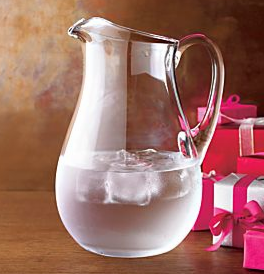 I have wanted to pick up a pitcher to have for dinner parties for quite awhile. Tonight we finally got one! It has such a pretty, elegant shape. 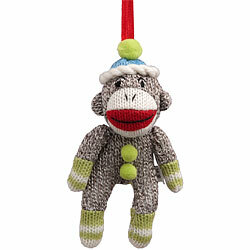 From Crate & Barrel. Who’s ready for a party?! 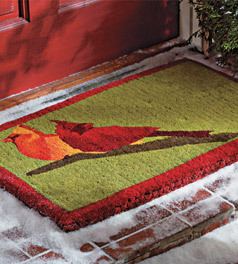 I’d never heard of this catalogue before, but it showed up in my mailbox and they have some really pretty colorful doormats. Love and Love. Dark Charcoal is probably one of my favorite JCrew colors. 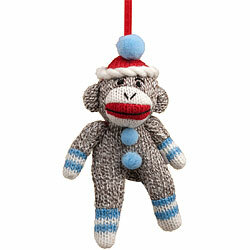 More cute Paper Source finds - Sock Monkey Ornaments! 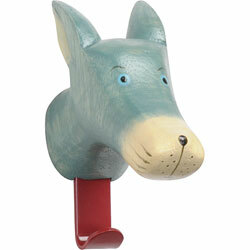 Cute animal coat hooks to adorn a child’s room. I love the color of this wolf. From Paper Source. 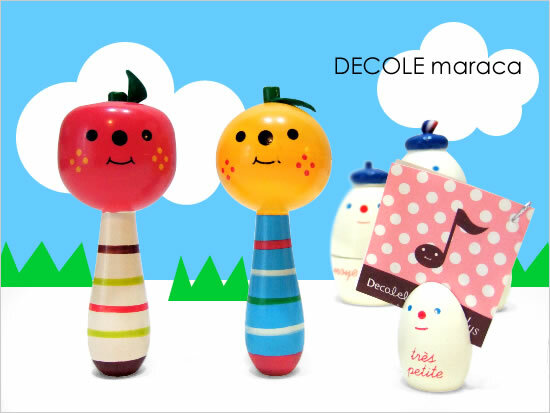 Super Cute Fruit-heads for your kids to play music with. 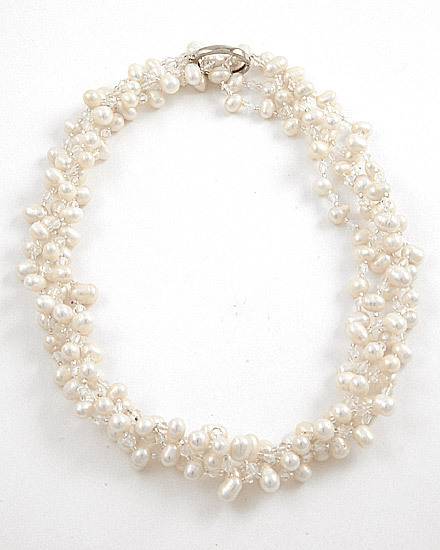 Also by Decole and available here. We had a pretty fun Halloween weekend. Last weekend we went to Boo at the Zoo and had lots of fun. 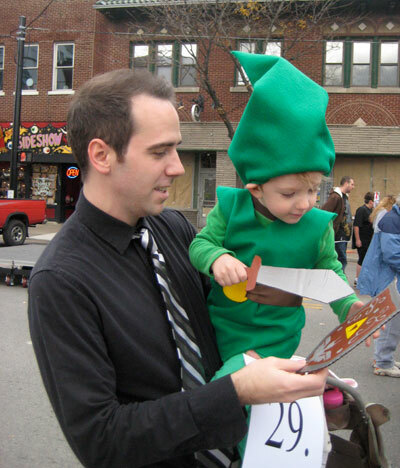 On Halloween we went to the Mini-Masques contest at Highball Halloween. 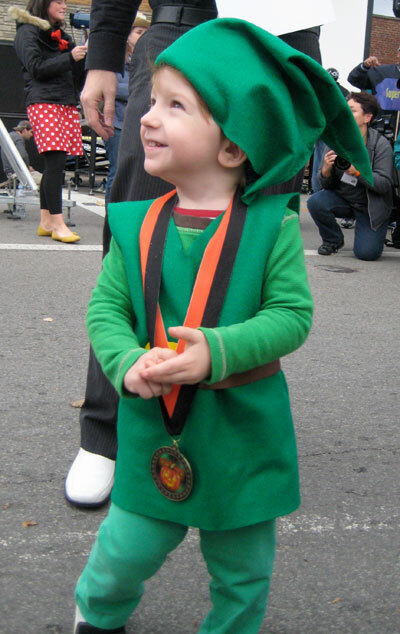 Desi dressed as Young Link and won third place! 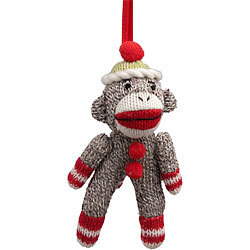 You are currently browsing the Handcrafted Delights weblog archives for November, 2009.